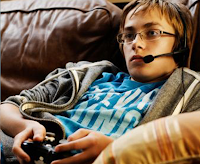 My Aspergers Child: Should You Limit Your Child's Access to Video Games? 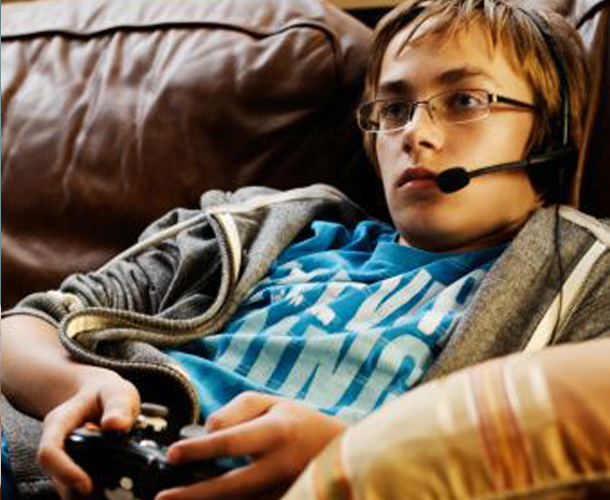 Should You Limit Your Child's Access to Video Games? As most parents know, video games are a common interest among kids with Asperger’s (AS) and High-Functioning Autism (HFA). Although the virtual world and video games can be a great place for these young people to practice social skills, make friends, and have fun, some experts are concerned that an intense interest in video games can quickly become an unhealthy and even dangerous obsession. Video games, in and of themselves, are not necessarily negative influences in the lives of AS and HFA kids. In fact, some researchers believe they can be an educational and entertaining way to build personal relationships and experiment with taking social risks and reaching out to unfamiliar people. Because kids with AS and HFA naturally gravitate toward socially "safe" forms of entertainment like video games, video game manufacturers and programmers have been working to create games that can teach real-life skills to these kids. According to the results of a study conducted by psychologists at the University of Alabama at Birmingham, one interactive computer program called FaceSay has been shown to improve the ability of kids with autism spectrum disorders to recognize faces, facial expressions, and emotions. Created by Symbionica LLC, the game teaches kids where to look for facial cues and helps them practice recognizing the expressions of an avatar, or virtual representation of a person. Researchers at the University of Texas at Dallas Center for Brain Health started using the game Second Life as a form of online therapy, pairing clinicians' avatars with those of AS and HFA clients in a conversation. In their approach, therapists would guide clients through a series of exercises, in groups and individually, during which clients may be confronted with a job interview with a "boss" character or learn to ask another avatar out on a date. The researchers believe that when AS and HFA kids gain confidence in the virtual world, they will gradually learn to more comfortably interact in the real world. Despite these efforts by researchers and video game makers, experts question the effectiveness of these games and express concern that AS and HFA kids who are already socially awkward may become dependent on Internet social networking and virtual interaction and never apply the skills in real life. They say gaming is generally a solitary activity that limits the social exposure of young people with autism spectrum disorders. Video games are also one of many repetitive activities that kids with AS and HFA tend to engage in to avoid adapting to new situations and struggling through social interactions with new people. Any treatment, no matter where it’s done, and no matter how it’s done, needs to incorporate strategies for other settings. If it doesn't do that, its usefulness will be limited. What clinicians hope to see is that what AS and HFA children are learning will help them understand social situations, the feelings of others, their own motivation, and will help them negotiate real life social situations (rather than just being able to interact with a computer). While video games do offer a form of social interaction, it's a distorted social interaction. When video-gamers have anonymity, they act in a different way than when they must take personal and immediate responsibility for their words and actions. For kids who get picked on all day at school and feel ostracized and out of place in their everyday lives, it's soothing to come home and play video games for hours on end. In the safe haven of online video games, kids with AS and HFA can isolate themselves from real-life situations and the complexities of face-to-face interactions. However, the social setting in online gaming or chat rooms is far more predictable than real-life social situations. While social conversations in real life are highly complex and unpredictable, online gamers share a common and simple language for communicating. For example, since most online interaction occurs through typing, there is time to think about a response, and the response can be given in symbols and phrases without regard for facial expressions or nonverbal cues. In addition, online conversation can center around the game being played, whereas most kids in real life also have other interests they want to share, which AS and HFA kids may not understand. If everyone in the AS/HFA youngster's high school class played the same video game, this would be an interest that facilitated healthy social interaction. But most kids have a number of other interests and ways to connect with each other. While kids with AS and HFA can have a healthy interest in occasional video game play, they need to understand that their peers gravitate toward a variety of other activities and interests, and they need to learn to push themselves to interact in a wider range of areas to maintain a social network. The experts are also concerned that kids with AS and HFA who immerse themselves in the world of online gaming may be developing inappropriate social skills. Online, it may be considered acceptable or even funny to make rude comments, use profanity, or ignore certain people. But if you go to soccer practice and make fun of someone's parent, there's no doubt you'll get a different response. Many kids with AS and HFA will struggle making this transition from the virtual setting into the real world. It is the nature of the disorder for kids to struggle to understand social conventions and cultural mores. This struggle is compounded when these kids are asked to learn different social rules for online conduct and face-to-face interactions. It takes a lot of practice for kids with AS and HFA to develop basic social skills, and the more time they spend online, the less time they have to practice the skills that will serve them best as they become adults. Not only are online video games significantly unproductive socially, they can also be dangerous. Online safety is an issue for all kids, but kids with AS and HFA are particularly susceptible to sexual predators and other criminal offenders. While suspicious emails or dubious online behaviors may stand out immediately to a “typical” young person, kids with AS and HFA may not understand the red flags unless someone explicitly describes them. They may not realize that certain types of communication are offensive or inappropriate, and as a result, they may unknowingly invite danger into their homes. When it comes to video games, moms and dads of an AS or HFA youngster are faced with a dilemma: Do they limit their youngster's time spent doing the activities that interest him most and run the risk that he will withdraw even more, or do you allow their youngster unfettered access to video games despite the obvious social repercussions? Moms and dads need to find the balance between accepting their youngster's unique interests, and encouraging her to develop social skills and additional interests that might take her outside of her comfort zone. By granting unlimited access to video games, the parent offers her kids nothing more than a quick fix. The fixation may be a convenient coping skill for facing the hardship of a long, difficult day at school – but it will not be the healthiest path into adulthood. If kids with AS and HFA aren't encouraged to develop social skills and independent living skills, there will be a direct correlation to how many friends they have, how successful they are in school, and how productive they are on the job later in life. They may be comforted in the short term, but that deep underlying desire to have friends will remain a constant source of dissatisfaction and further isolation. Moms and dads should encourage their AS or HFA youngster to develop interpersonal skills “off” of the computer, and set limits around how often he uses - or talks about - video games. Parents need to offer incentives to their youngster to balance his time spent focused on gaming and time spent doing social activities (e.g., mom could agree to allow her son a certain amount of time to play video games each week in exchange for his participation in an after-school activity). Young people with AS and HFA frequently fall prey to a fixation with screen time. Television, computers and video games feed into their tendency toward isolation and their eccentric fascination with certain “topics of special interest.” And for busy moms and dads, consistently monitoring their AS/HFA youngster's recreational time and evaluating her social development can be an overwhelming task. Nonetheless, helping your “special needs” youngster to achieve her full potential is a highly realistic and attainable goal. By setting some healthy boundaries around video-gaming, your youngster can grow and thrive – not only in the virtual world, but also in the real world. • Anonymous said... Great article! "Video games" is probably the most difficult and complicated issue I have with my 13 year old son. He is very passionate yet obsessive with the games. He has a goal of eventually going to college to study game programming and development so I want to support him with this, but I want him to also find another interest, hobby or activity that can distract him away from playing, talking, breathing video games. • Anonymous said... My son does have a group of friends from school that he's made because they are also gamers so it hasn't been all bad. But the amount of time he gives to the games, and lack of interest in much else is a serious concern of mine. • Anonymous said... Thanks for the article. It's so helpful to have more information, and support! • Anonymous said... I believe online gaming has helped my son alot. Just have to watch out for bullying on there. * Anonymous said... My 11 year old has a mild version of Aspergers. He loves to play video games and since I also have a 9 year old and know how much time they could spend just playing and playing these video games, I came up with certain days where they can play and then days where they cannot play. It's working very well. On the days they can play, they can play for 30-45min in the morning and the same amount in the afternoon. I have noticed that for my aspie this is enough time for him to "recharge". So, for my kids this is working out really great but I know that at some point I have to change the days for playtime and make it happen every day but that isn't just happening yet. * Anonymous said... Christine Lemoine Have an 8 year old son whom we limit a lot. If we give him his tablet more frequently, he seems to be more aggressive with his brother and has more outbursts with us and even bordering on rage. However, if we limit like normal, he wakes up in the middle of the night or even early in the morning and tries to find his tablet or my husbands laptop, etc. I'm at the point where I feel like we need to install a door alarm that dings anytime his door opens so I can hear when he wakes up and make him go back to sleep.